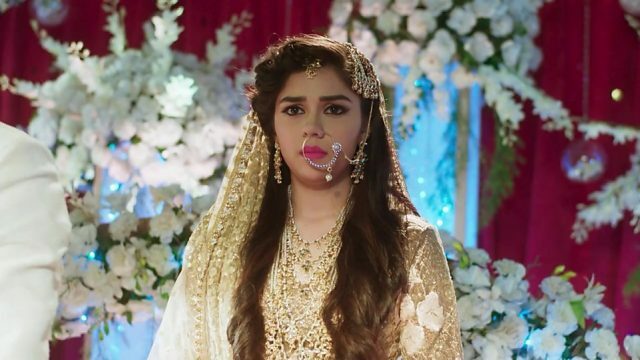 In the latest written update of Ishq Subhan Allah 23rd November 2018, Kabir threatens to terminate Zara’s job. In the Tv serial Ishq Subhan Allah, the update begins with Zara and Kabir both are in the car. Zara said let’s take a beautiful selfie. We fought in the office but we are going very happily back home. Kabir said to Zara that he is so hungry. She said him to stop a car. They come out from the car. Zara said that I will make food for you when we go home. After getting the discussion they both come out from the car. Zara said I did not want you to eat from outside, I might be tried but I will always cook for you. Kabir smiles to see the face of Zara and said god has given so much power to women. Zara says lets romance in veggies market. Kabir told you are like spice, Zara replied that you are lokki, Kabir said you are a potato. Zara glares at him. Kabir said potato can be mixed with any veggie and same is with you. Kabir told to Zara that nature towards the everyone is very nice. Zeenat is getting ready, Ruksaar asks what she is doing? She replied that I am going to meet my friend who is coming with her husband. Ruksaar asks what is the husband? She said that when girls have grown up, then they marry with the man and after this, they get their husbands. Ruksaar ask the question to Zeenat that who is Zara’s husband? Zeenat replied to this after looks way that Kabir is the husband to Zara. Ruksaar aksed next question and that is who is my husband? Zeenat gets too tensed and she said I have to leave now and goes. Precap: Kabir eats the food and said it is very tasty, you can ask for anything today. Zara says that you have given me all happiness but just changes syllabus of poor kids and gives me that much happiness. Kabir looks on her face.